But, Blackie … Is That Thing Street Legal? I can only wonder what has become of this unique vehicle in the almost 50 years since this article was published. I haven’t found any references to it around the internet, but hopefully someone out there has restored Blackie’s crazy custom ride to all its glory. 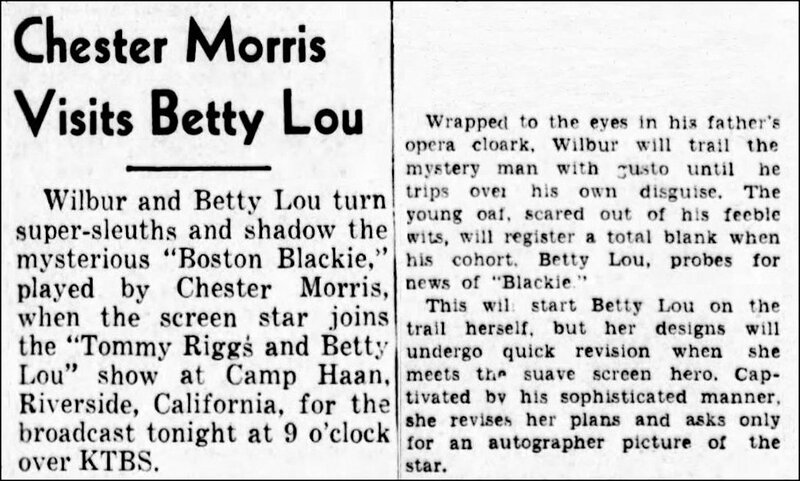 **UPDATE** While reporter Bill Gentry connects the car in his article to Chester Morris’ Boston Blackie films, I believe he may have gotten his facts somewhat muddled. 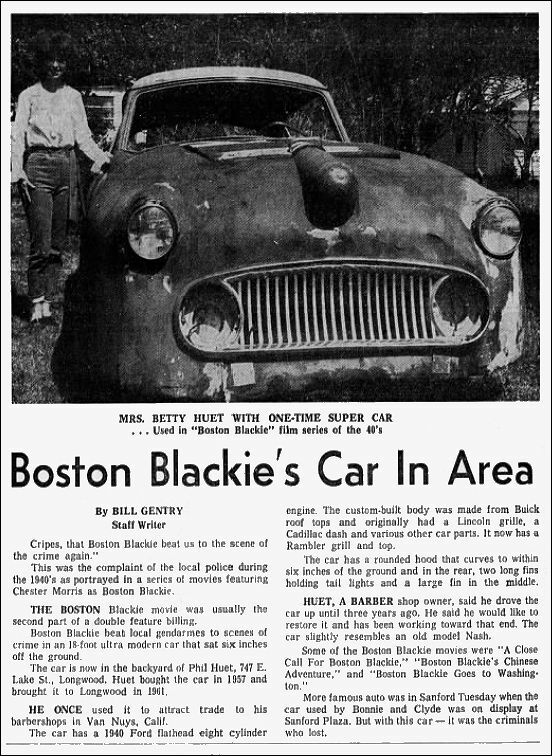 The photograph accompanying his piece and his description of the vehicle’s low-riding rear boasting three fins evoke memories of the car driven by Kent Taylor during much of the second season of Ziv Productions’ syndicated Boston Blackie television series. Multiple episodes are available on YouTube, for those curious enough to check it out. As discussed in my entry from February 29, 2016 (“Tune in For Boston Blackie”), Jack Boyle’s best loved law-breaker stole into the world of radio in 1944. Chester Morris transported the character from the movie screen to the airwaves in an NBC summer series which premiered on June 23, 1944. 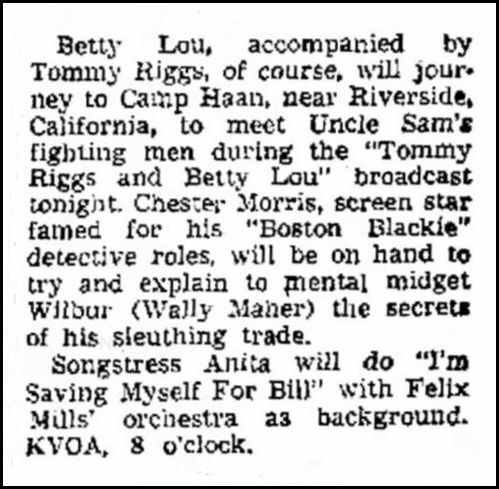 Unless a recording of the March 19, 1943 installment of The Tommy Riggs and Betty Lou Show (or at least a script) surfaces someday, we may never know if the episode truly featured the radio debut of Boston Blackie, or simply a visit from Chester Morris. 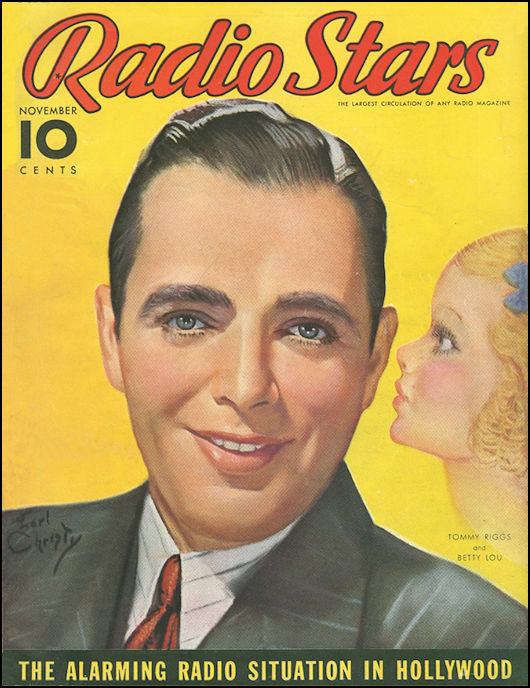 Either way, the broadcast was obviously a direct result of the Columbia film series, and marks Morris’ earliest promotion of Blackie in the medium radio. For that reason alone, The Tommy Riggs and Betty Lou Show deserves a special footnote in the history of Boston Blackie. Deepest thanks to vintage radio researcher extraordinaire Karl Schadow for bringing this “forgotten” bit of Boston Blackie history to my attention. I’m indebted to you.